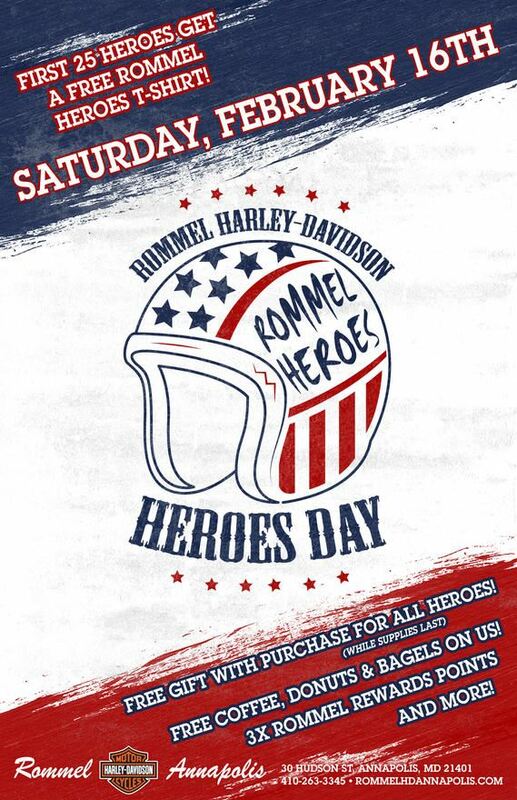 Come out to Rommel H-D Annapolis for Heroes Day! The first 25 Heroes get a FREE Rommel Heroes t-shirt! plus we'll have a free gift with purchase for all Heroes while supplies last, FREE coffee, donuts and bagels, triple Rommel Rewards Points and more! It's our way of saying thank you to those who serve and protect us everyday!